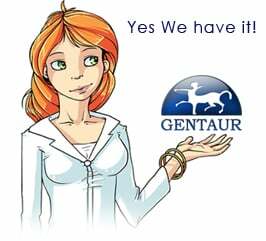 Gentaur antibody-antibodies.com The Marketplace for Antibodies : A novel fusion between MOZ and the nuclear receptor coactivator TIF2 in acute myeloid leukemia. Chromosomal abnormalities of band 8p11 are associated with a distinct subtype of acute myeloid leukemia with French-American-British M4/5 morphology and prominent erythrophagocytosis by the blast cells. This subtype is usually associated with the t(8;16)(p11;p13), a translocation that has recently been shown to result in a fusion between the MOZ and CBP genes. We have cloned the inv(8)(p11q13), an abnormality associated with the same leukemia phenotype, and found a novel fusion between MOZ and the nuclear receptor transcriptional coactivator TIF2/GRIP-1/NCoA-2. This gene has not previously been implicated in the pathogenesis of leukemia or other malignancies. MOZ-TIF2 retains the histone acetyltransferase homology domains of both proteins and also the CBP binding domain of TIF2. We speculate that the apparently identical leukemia cell phenotype observed in cases with the t(8;16) and the inv(8) arises by recruitment of CBP by MOZ-TIF2, resulting in modulation of the transcriptional activity of target genes by a mechanism involving abnormal histone acetylation. OBT1796 SRC2 (Steroid receptor coactivator 2), Nuclear receptor coactivator 2 encoded by exon 26, Transcriptional Intermediary Factor 2 (TIF2), Glucocorticoid Receptor_Interacting Protein (GRIP1), Rabbit anti 0.1 mg.